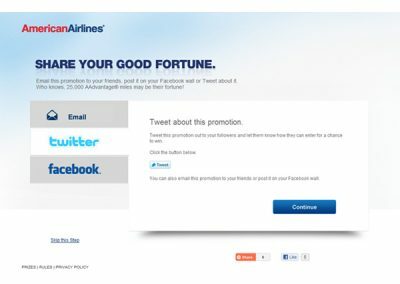 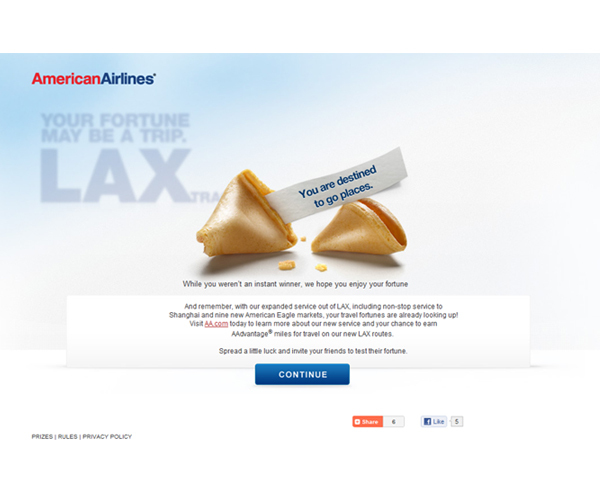 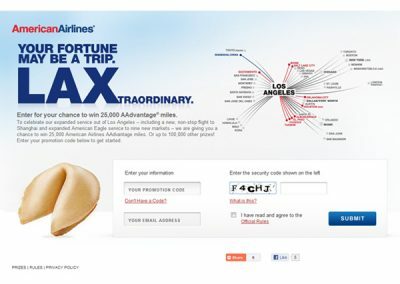 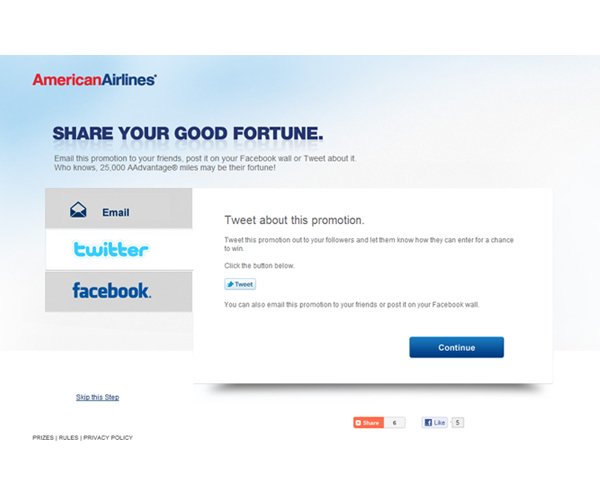 American Airlines distributed fortune cookies at select events in Los Angeles, CA with codes that could be redeemed for a chance to win travel miles. 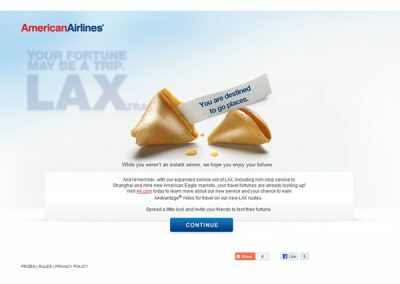 Collaborated with a third party agency providing the microsite and promotion technology. 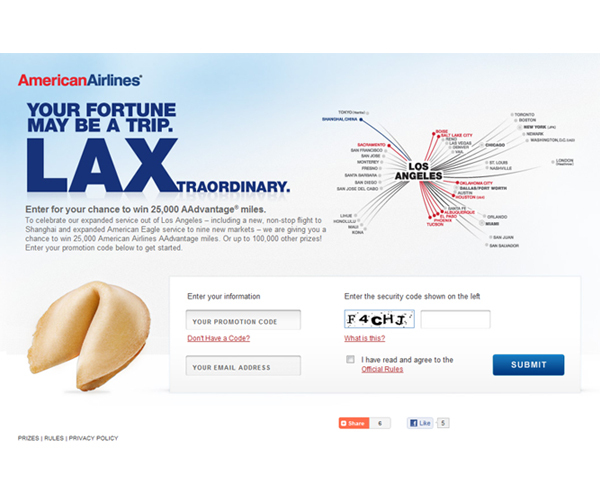 The integration was required to validate or facilitate the creation of AAdvantage accounts.